Let's build an Open source community "Beyond The Code" together. Support Utopian Indiegogo campaign. The Steem blockchain has been buzzing lately with news of Utopian's Indiegogo campaign. You may have come across it several times on your feed or you may not have. But, if you are an open source contributor on the blockchain, you definitely must have heard about it. What is Utopian trying to do? If you've seen flashes of the news, but, haven't read it, you are bound to ask this question. Utopian isn't changing from what it was originally created to do, which is; "Empowering Open Source Innovation". Instead, they are revamping the platform to serve the open source community better. Utopian is building a better platform where all digital professionals are welcome to contribute to open source innovation, and communities can support projects through collective financing. That is an excerpt from the campaign statement on Indiegogo. The above statement summarizes all Utopian is trying to do. Utopian is building a "Colony" occupied by digital professionals. This is a great innovation that will be beneficial to all digital professionals. Since its inception, Utopian has been dominated by developers. Not because the contributors submit more contributions than others. But, because they had a direct impact on the projects they were contributing to. This will not be the case anymore. In Utopian colony, project owners can connect directly with the contributors they need on their projects. While it will still be mainly developers, I feel other digital professionals will be engaged too. I'm particularly excited about this development. The reason is that I have always felt left out as a contributor. I've always felt that I wasn't meeting the needs of the projects I've contributed to. Especially the ones off the blockchain. Being a content creator, I've written contents for several projects, but, the project owners never knew about it. Maybe I've been able to spread word, and influence people about these project. But, I'm not sure about that. This will all be different in Utopian colony. This time, every content or copy I create will be relevant to a particular project. Now you can see why I'm excited about what's coming. Watch this video and gain more insight. If you have gone through the campaign content, this question is bound to pop up in your mind. I didn't read the whole article before this question developed in my mind. This has also bothered some other contributors. However, the air has been cleared by the CEO. Utopian is not leaving Steem. Not exactly. Steem has been an integral part of Utopian since its inception and would continue to be. Utopian would also include other coins, but most of the transactions that happen would be stored on Steem. To be honest, I haven't fully grasped how this would work. The information regarding this issue has been limited. But, I'm optimistic about it. Support Utopian's Indiegogo Campaign. (Help Utopian go viral). This is the main reason why I created this article. It is also the reason why I've kept the content of this article short. There's a lot of work going on behind the scene to ensure a workable product is released soon. A lot of work also means a lot of financing. This is why Utopian is calling out everyone to come together, and bring this project to fruition. Utopian is hosting a crowdfunding campaign on Indiegogo. So far, very little has been raised, and that's not nice. The Utopian community since it's inception has been beneficial to a lot of individuals on the blockchain. I'm living proof of such benefits. Through Utopian, I have connected with several open source enthusiasts. Furthermore, I've honed my skills in content creation, and I've developed other skills too. Aside from that, several open source projects on the blockchain have benefitted from the Utopian platform. It's time to put those benefits to good use by contributing to bringing this project to fruition. You can back this project by making general donations, or, by paying for perks. Utopian Badges, one of the features planned for Utopian Colony, will be a fun way to show off your reputation as an open source contributor or project, allowing you to display the achievements you’ve earned through activities on the platform. We want to offer our Indiegogo supporters unique badges to display on their profile on Utopian Colony. These rare and original badges will be limited in number, and each features the signature of the designing artist on the Steem blockchain, making them truly unique pieces of art. Are you a thinker, dreamer or visionary? Do you envision the great change Utopian is bringing to the open source universe? Our professional community of artist designed these unique badges just for you. These are the available perks you can pay for and their fees. 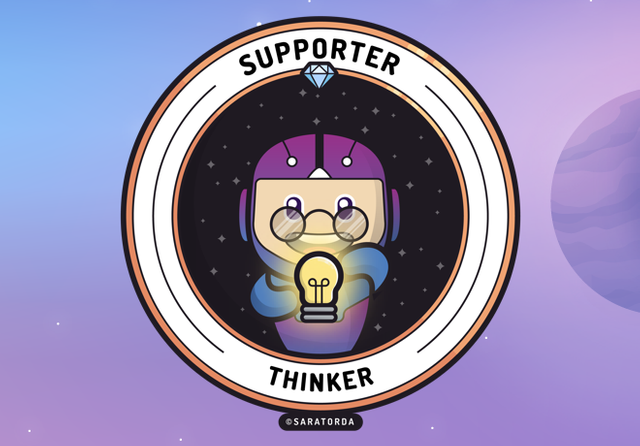 A cool unique Thinker badge for your Utopian Colony profile page to show your early support for Utopian, and a special thanks from the whole team in Utopian. This perk is priced at $5 USD. It is the cheapest perk of the whole collection. So far, only two people have claimed this. But, it is not limited. If you aren't so buoyant at the moment, for other perks, you can spare some funds for this one. 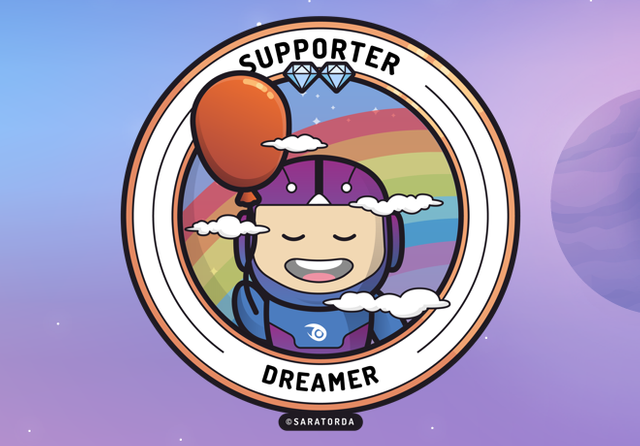 Be one of the first to access Utopian Colony, before everyone else does, and get also a limited Utopian Dreamer badge to show your early support of Utopian on your Utopian Colony profile. This perk is priced at $10 USD. This is an upgrade of the thinker bundle. I think it is really cool and you should buy this one. I paid for this perk, and I feel so good about it. So far, 4 of this bundle has been claimed. If you add me, that makes 5. This bundle is unlimited too. You can claim anytime during the campaign. 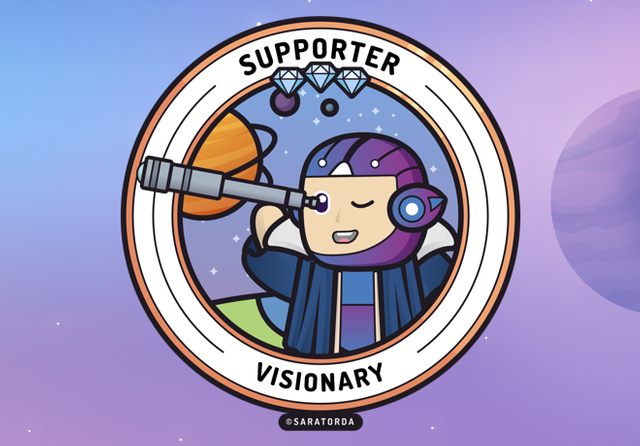 Be one of the first to access Utopian Colony, before everyone else does, reserve your username early, get exclusive updates, and get the rare Visionary badge to show your early support of Utopian on your Utopian Colony profile. This perk is the standard of all perks. If you are not looking to pay too less or so much, then this perk is perfect for you. This perk is priced at $25 USD. The benefits that come with this perk are enormous. You should pay for this one. So far, 8 of this bundle has been claimed, and it is limited to 100 persons. Head over to the campaign website and claim yours now!!! 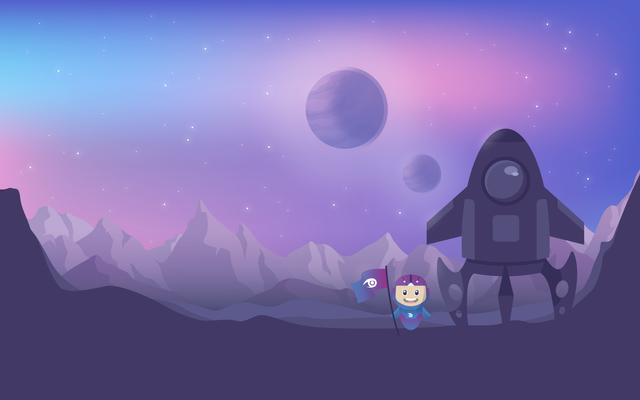 Adds the ability to have early access to the platform as a project, as well as a user and get direct support from our team to get your project up and running on Utopian Colony. 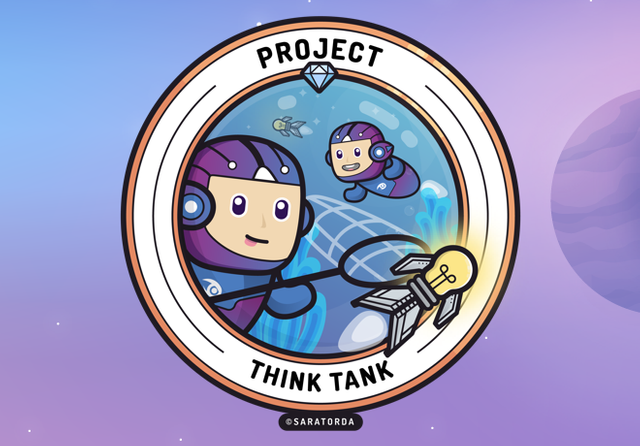 Get additionally a Think Tank badge on the project profile on Utopian Colony. If you are a project owner, this perk is the one you should pay for. It's packing a lot of benefits for you as an open source project owner. It is priced at $35 USD. For the benefits that you will be getting off this bundle, I think the price is really fair. So far, only 2 persons have claimed this bundle. But, it is unlimited. I will end my talk about the perks here. That is because I'm literally giving you the same content you will find on the campaign page. If you aren't financially buoyant to contribute to this campaign, you can contribute in another way. That is by spreading word about Utopian colony on all social media platforms you operate. Share word about Utopian on Facebook, Twitter, Medium, Instagram, Reddit, etc. Let's connect with every digital professional there is on the planet. Let them hear about the great thing that is coming. Post about it every day if you can. By doing so, you are registering it into the minds of people subconsciously. I have contributed to the best of my ability, and I'm spreading the word about it. There are quick share links on the Indiegogo campaign page. Aside from @oracle-d, another well-meaning steemian is hosting a contest to boost contributions to the campaign. @pibara is hosting a contest where you can win 20 steem by contributing at least $5 to the campaign. $5 is the amount of the "Thinker" perk. Aside from that, you get to nominate a project supported by Utopian. I nominated @knacksteem.org. I believe in the platform and what they are trying to achieve. What else are you waiting for? Let's all join hands together, spread word about Utopian together. TOGETHER, WE CAN BUILD AND OPEN SOURCE ECONOMY BEYOND THE CODE. Don't consider this post as a piece of investment advice. The post expresses my own opinion about the project. You are advised to do your own research before committing to any investment you make. I will not be held accountable for any decision you take, based on the content of this post. The images used in this article are screenshots from my PC. Permission was granted to use the other images used in this article. Great article! I hope that we can keep the momentum going and help Utopian reach their target on IndieGogo. Yes!. I'm optimistic about this. I'm super excited too. You just got a 9.79% upvote from SteemPlus!